An Energization is a unique systematic energy initiation that invokes higher spiritual frequencies of love and radiations of light from the cosmic realms to embrace, align, and modulate your spiritual, astral and etheric bodies. The initiation expands your atoms, molecules, and cellular composition to assimilate and sustain the sacred geometric vibrations that open spiritual gateways to other dimensions and higher levels of consciousness. You will reconnect with the cosmic memory of Who You Truly Are! ​​ Based on the book, “Man of Light”, by my teacher, Kimberly Panisset Curcio, this sacred and magical process is the legacy of the late Brazilian healer, Mauricio Panisset. Your spiritual power and vision continue to build momentum when you receive an Energization initiation monthly or more often. Change the pitch of the electromagnetic currents in your energy field and attune them to cosmic pulsations that awaken you to the higher laws of Light. Connect the pineal and pituitary glands to form a cradle of light for the Christ Consciousness energy to evolve within. Establish or increase energy connections with spiritual guides and teachers. Balance and integrate male and female energies. Ignite and safely expand our kundalini energy to facilitate inner peace and harmony. Expand and balance the eight major chakras. When inner permission is granted, invoke all 725 chakras to activate, open, and connect with higher dimensions of light in the spiritual realms. Expand energy meridians within your physical, mental, and emotional bodies to accelerate personal growth. Invoke the divine blueprint within to activate and return your energy pattern to its original and holy status of cosmic wholeness and health. 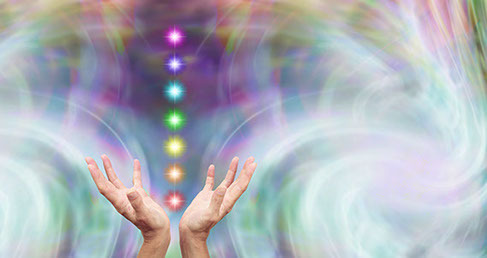 Chakra Energizations are for individuals who embody passion for and commitment to their spiritual evolution. The beauty of each session cannot be described, however, clients report a feeling of floating, lightness, blissful peace, and unconditional universal love during and afterwards, sometimes lasting a full 7-10 days or more. Each Energization initiation lasts approximately 45 minutes. Clients are asked to wear all white clothing. The Auric field greatly expands during these intensive chakra openings, so after a session, it is advisable to create a quiet, safe space to integrate the experience. If possible, do not go into large crowds or places with any discord. Please contact Linda to schedule your appointment.